A major milestone as a parent and for your child is their first day at school. This can be a very exciting day, but it can also lead to a lot of anxiety as a parent. Chances are, this will be the first time you and your child will be separated for a longer period of time and it can be nerve-wracking worrying about their safety. However, there are a number of things you can do to ensure that your little one is safe at their local day care center in Garner, NC. One of the most important things that you can do is to make sure that your little one knows your contact information. This information should include your phone number, address, and also work address. That way they can or the authorities can get in touch with you in the event of an emergency. Most child care centres in Garner, NC will ask for this kind of information but it is still important to ensure that your child has it memorized because in an emergency, the authorities may not have access to the files of the preschool. Another great tip to keep your little ones safe when they are at school is to teach them a password. This password is used for a number of things, but primarily, it can be used to ensure that they do not get picked up by the wrong people. For example, if someone tries to pick up your child, they could say you sent them. However, if they do not know the password then your little one will know it is not safe to go with that individual. There is a wide variety of technology available for parents who want to keep an eye on their little ones. One of the most effective comes in the form of GPS tracking. This is a device that looks like a watch but it will send you the exact whereabouts of your child at all times. You even set up invisible boundaries that will alert you when crossed. This is a great way to know where your child is and for you to have some peace of mind. Those are just a few of the many things to keep in mind when it comes down to keeping your little ones safe at school. 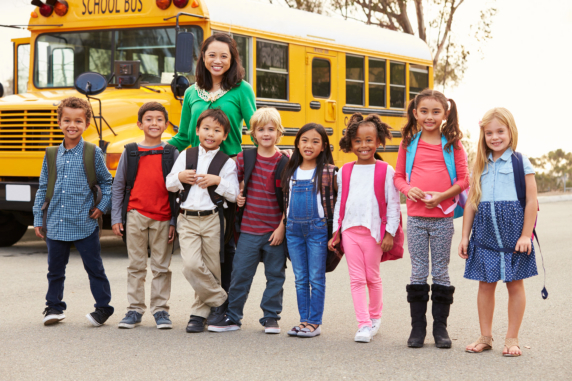 If you would like to find out more about safety or about our quality care for children in Garner, North Carolina, please feel free to get in touch with Little Believer’s Academy for more information today. This entry was posted in Preschool and tagged Child Development, Childcare, Early Education. Bookmark the permalink.